This brief, accessible treatise harnesses the neurophysiological processes of learning to create an innovative and powerful approach to therapy. It sets out a non-pathologizing alternative not only to the current medicalized conception of diagnosis and treatment but also to the labeling of relatively normal reactions to stressors and upsets as illnesses. Rooted in the neurobiology of human learning, the book's approach to treatment, Neuro-Cognitive Learning Therapy, characterizes maladaptive behavior patterns as learned responses to upsetting conditions-processes which can be unlearned. In addition, the coverage includes a clinical teaching guide for bringing NCLT theory and methods into the training curriculum. This groundbreaking volume: * Proposes a non-stigmatizing learning model for therapy, Neuro-Cognitive Learning Therapy. * Introduces the concept of the connectome and explains its critical role in mental health and illness. * Differentiates between the unconscious and automaticity in cognition and behavior. * Addresses the applicability of NCLT to biologically-based mental disorders. * Offers case studies illustrating NCLT in contrast with commonly-used approaches. * Includes a chapter-by-chapter clinical teaching guide with therapeutic principles and discussion questions. * Provides a comprehensive therapeutic framework for practitioners of all orientations. 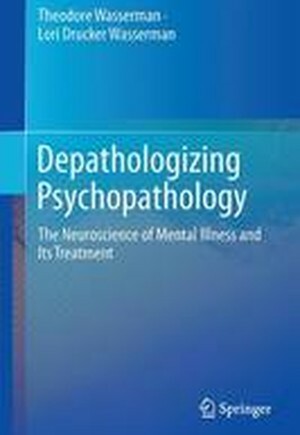 Depathologizing Psychopathology gives neuropsychologists, psychiatrists, clinical social workers, and child and school psychologists new ways of thinking about mental illness and learning about learning for a bold new step in the evolution of mind/brain knowledge. Principles of Learning.- Therapy versus education--why education is better.- Automaticity.- How we learn.- Mental illness as a white matter connectivity problem.- What Is Cognitive Learning Therapy?.- Introduction to cognitive learning therapy.- Key concepts in cognitive learning therapy.- The relationship between therapist and client in cognitive learning therapy.- Applications of Cognitive Learning Therapy.- Cognitive learning therapy for depression.- Cognitive learning therapy for obsessive thinking and compulsive behavior.- Cognitive learning therapy for anxiety and other regulatory disorders.- Cognitive learning therapy and educating parents on how to manage their children.- Summary and concluding remarks: where do we go from here?.